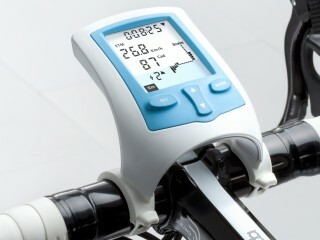 The Flow Ergontrainer is one of Tacx's more popular bike trainers and it is a great value for money. 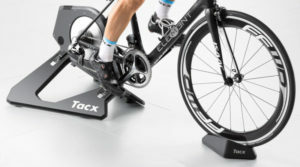 It comes with features you would expect with a Tacx turbo trainer plus it adds the ability to measure and display pedaling cadence, heart rate (if using with a separate heart rate band that is not included in the kit), time, power, and speed. Knowing this information helps you monitor your progress over time, so you can see if your training sessions are paying off. 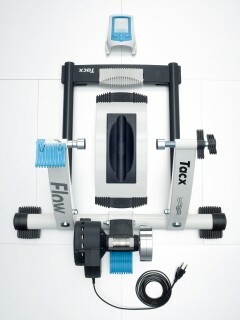 The Tacx flow uses an electromagnetic brake system that is controlled via a handlebar mounted computer. 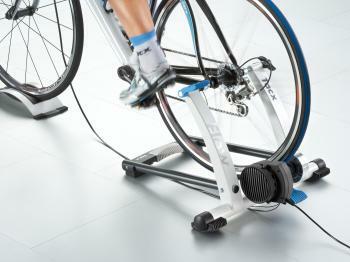 The trainer also comes with the Skyliner front wheel support.